The 120-voice choir, under the artistic leadership of Grammy-nominated Noel Edison, includes auditioned choristers, choral apprentices and 20 members of the professional Elora Singers. 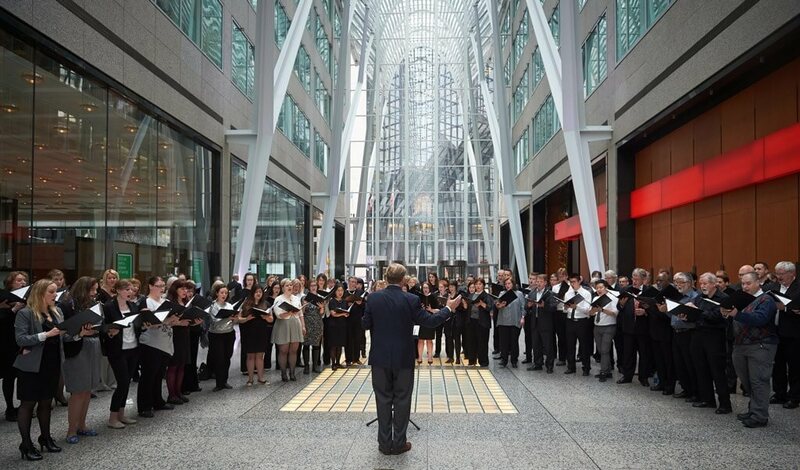 The TMC champions choral music in Canada beyond the live concert experience. Many TMC performances are accessible across the country and beyond through webcasting. The Choir’s education and outreach activities contribute to the development of professional and amateur choral musicians, welcoming singers aged 17 to 22 to the Choir through an Apprentice Program, offering a series of fun and educational Singsation Saturday choral workshops for amateur singers, and supporting the development of emerging choral artists with the Choral Composition Competition, the annual TMC Choral Conductors’ Symposium, and the two-year Associate Conductor position. 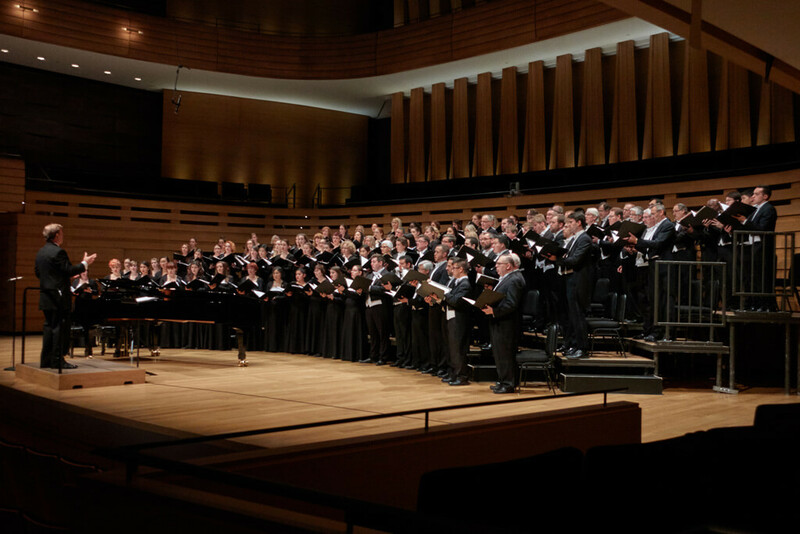 The TMC’s 2017/18 season, Noel Edison’s 21st with the Choir, includes five concerts and a number of guest appearances, including many with the Toronto Symphony Orchestra. Noel Edison has been widely recognised and appreciated by choristers, critics and patrons for his skilful interpretive work with both choir and orchestra. 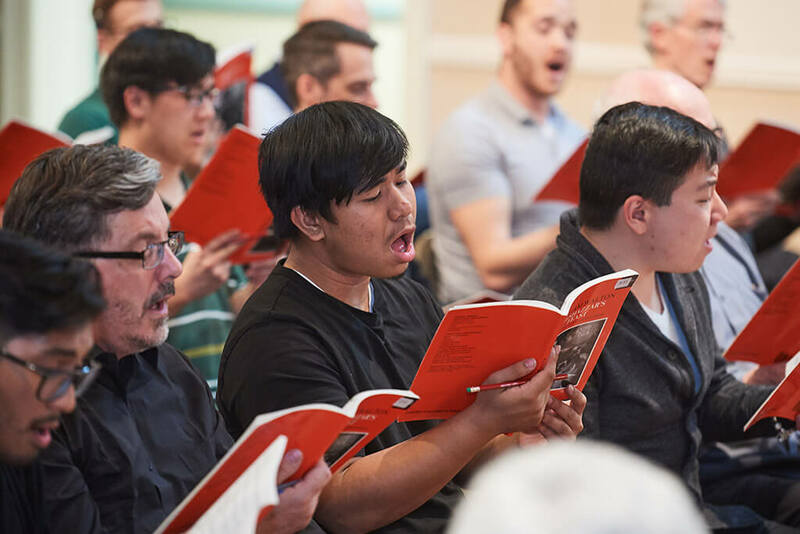 His vision for the TMC is to create performances that connect audiences emotionally with some of the greatest traditional and contemporary choral repertoire. Edison co-founded the Elora Festival in 1979 and, a year later, the Elora Festival Singers as its choir-in-residence. 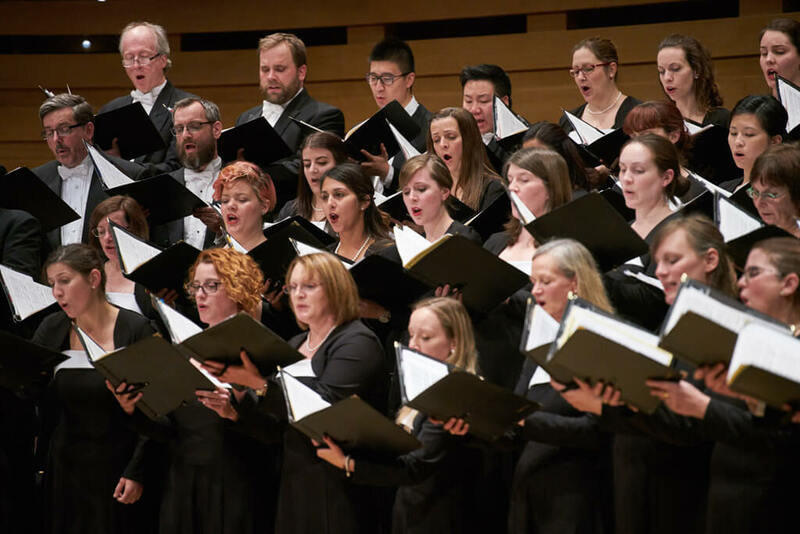 In 1997, Noel Edison was named interim conductor of the Toronto Mendelssohn Choir, and the Elora Festival Singers were selected as the professional core of the TMC. He assumed the position full-time two years later. He has recorded and toured with the Elora Festival Singers and the Toronto Mendelssohn Choir. 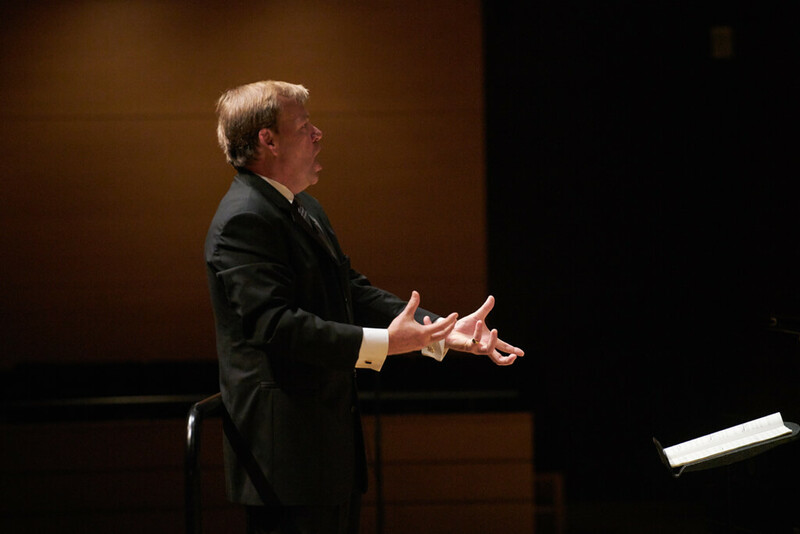 He is a champion of Canadian composers, commissioning and premiering a number of works, and of the education of emerging choral conductors, launching the TMC’s annual Choral Conductors’ Symposium in 2010. In 2009 Edison was appointed to the Order of Ontario, the province’s highest honour, and in 2012 he received the Queen’s Diamond Jubilee medal. The first half of the program brings together works by Johann Sebastian Bach and Canadian Timothy Corlis. The 2nd half sees a change of pace with a selection of Folk Songs. October 14, 2017, at 10:30 a.m.
Join conductor Dallas Bergen to sing through a selection of a cappella works. 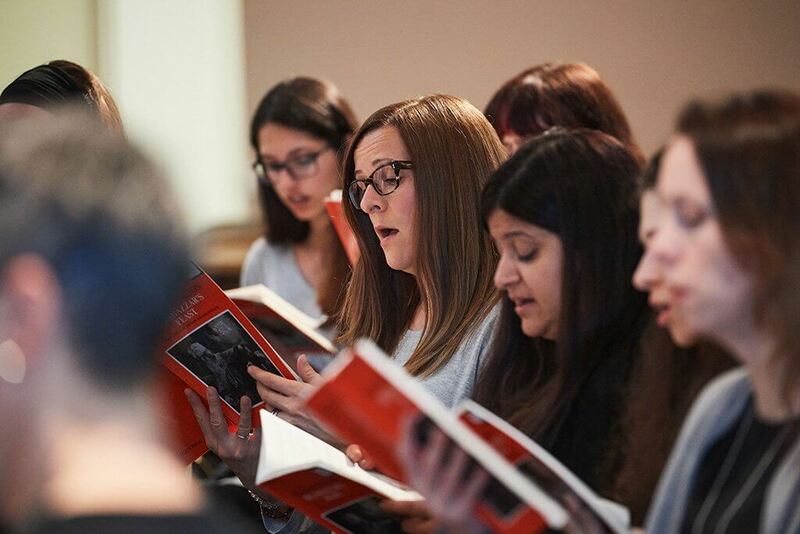 Dallas Bergen is the founding member of Univox Choirs Toronto, a community choirs organization for young adults founded on the principles of relationship building, social responsibility and musical excellence. He is also music director at First Unitarian Congregation. November 14, 2017, at 10:30 a.m.
Join us to sing music by Canadian composers to celebrate 150 years of Canadian confederation. Stephane Potvin is the the founder and artistic director of the professional group Musikay in Oakville and Hamilton. The TMC is joined by the renowned 30-member Canadian Staff Band and internationally-acclaimed organist David Briggs for its annual joyous celebration of music for the season. The program will include carols and other works that capture the mood of the season. Audience members will also be invited to join in the popular sing-a-long of favourite carols. Join us for a rousing start to the Christmas season. Enjoy a lively concert of classical and contemporary choral music performed by the TMC and the Elora Singers. 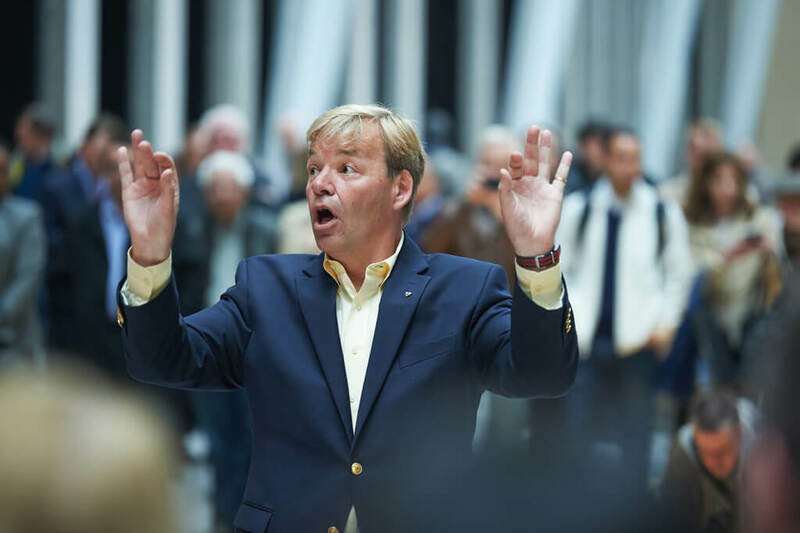 The two choirs will be conducted by the five conductors participating in the TMC’s Choral Conductors’ Symposium. This FREE community concert is part of the TMC’s education and outreach initiatives. February 24, 2018, at 10:30 a.m.
Join TMC Associate Conductor Jennifer Min-Young Lee to sing Beethoven’s Mass in C Major. 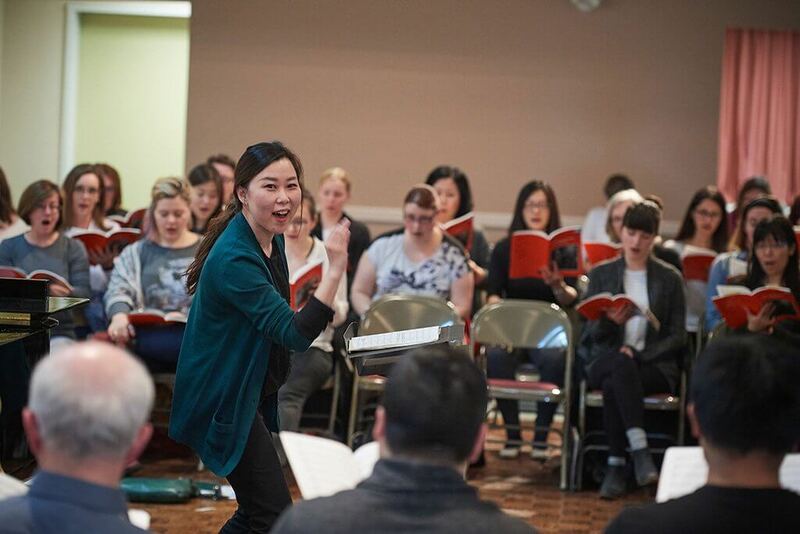 Jennifer Min-Young Lee is in her third year as Associate Conductor of the TMC. She also teaches music and conducts three choral ensembles at Bur Oak Secondary School. Jennifer holds a Master of Music degree in Conducting from the Eastman School of Music, Rochester, as well as Bachelor of Music and Education degrees from the University of Western Ontario, London. Experience two great contemporary works in the intimate setting of Church of the Holy Trinity. TMC and string orchestra perform faith-inspired works by acclaimed contemporary composers James MacMillan and Arvo Pärt. It promises to be a powerful experience. 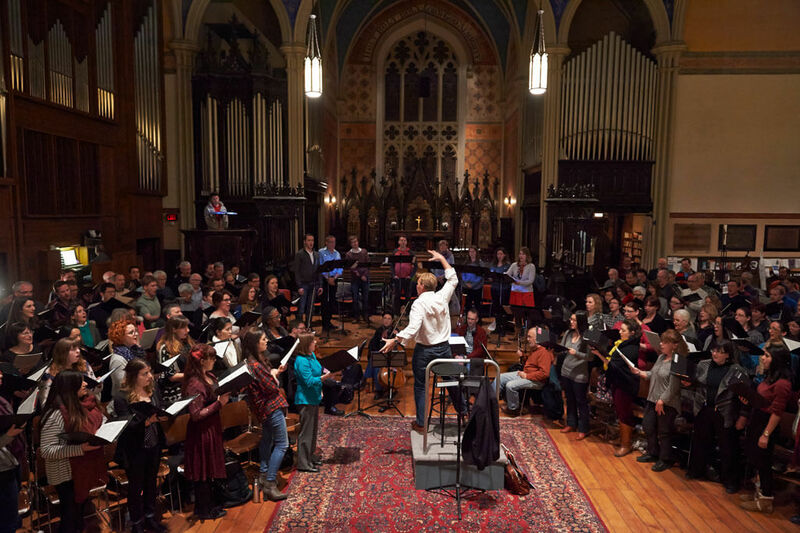 This annual TMC concert, now on two nights, brings together contemplative music with the beautiful setting of St. Paul’s Basilica and has become a moment of calm and reflection for many. Noel Edison uses the venue to great effect, placing the choir in different spaces to envelop patrons in glorious choral music. April 14, 2018, at 10:30 a.m.
Renata Dworak Berlin, a past TMC Symposium conductor, is currently creating and directing an African Peace Choir in Ethiopia. May 12, 2018, at 10:30 a.m. Sing through some great romantic repertoire, including works by Bruckner, Mendelssohn, and Vaughan Williams. David Fallis is renowned for his work internationally and with Toronto ensembles Opera Atelier, Choir 21 and Toronto Consort.